Did trauma during childbirth set off Lisa’s young-onset Parkinson’s? Around six months ago I met Lisa through Rock Steady Boxing exercise classes and our ‘Inspired Women with Parkinson’s’ support group, where she told me her story. Lisa was pregnant with her second child at 41 and despite the pregnancy going well, there was a mishap during the delivery from which she never recovered. She began noticing things almost immediately afterwards when she would drop her baby and started losing her balance. For over two years the doctors told her she was just depressed, there was nothing wrong. When she insisted something was wrong, they just kept telling her she was crazy. They falsely diagnosed her with AIDS and asked if she was a drug user while she was stumbling over her feet, choking on food and water and struggling as a new mother, unable to take care of her child. The problem was she did not develop a tremor for two years, so people failed to see what was wrong. 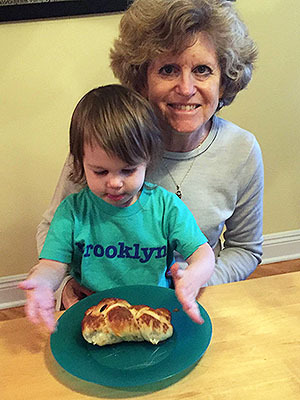 When Lisa moved to Atlanta a couple years later, she eventually went to the Neurology Department at Emory, where they found her to have all 10 symptoms of Parkinson’s disease, leaving her with her diagnosis, two and a half years after her son was born. People thought she was too young to have Parkinson’s disease and being an African-American woman, she had to fight hard to get good healthcare. Now, the doctors say that the trauma from the birth most likely triggered the symptoms of Parkinson’s disease, which was probably underlying. Her son, who is now seven, has never known her any other way but her 23-year-old daughter remembers how active her mother used to be and is keen to get her back to her old self. Changing her diet has made a big difference to her quality of life. She tries to eat as healthily as possible, with no processed foods and has found that incorporating turmeric, blueberries, strawberries and flaxseed for inflammation has really helped. She also struggled with depression for a while, but by doing self-affirmations and surrounding herself with positive people whenever possible, she tries not to let it get the better of her. 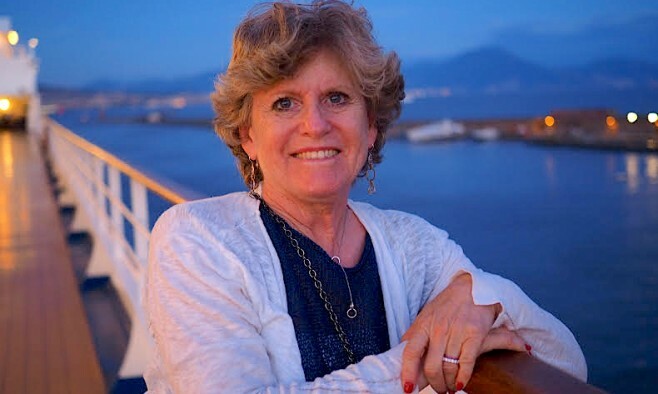 Her advice to the newly diagnosed: try to spend time with other women with Parkinson’s, it helps being around people who understand what you are going through. 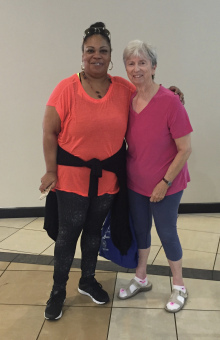 There are not a lot of women with Parkinson’s and even fewer African-American women with Parkinson’s, so she wants to get into support groups to meet others, as another woman in our group commented that one of the best things for Parkinson’s is meeting other women who understand and can listen to your problems. Lisa used to be Superwoman – a ‘Cheer Mom’, PTA member and active in her church, but sadly she can’t do those things anymore. While her family is supportive, now that Lisa can’t do everything for everyone anymore, the whole dynamic at home has changed. It has also affected her relationship with her husband, whom she had been with since she was young.